All 20 Vitacost promo codes have been verified and tested today! If you’re a regular Vitacost shopper, and you’re not able to locate a product or a brand that you would like to buy, you can request a special order from Vitacost. To do so, just visit Vitacost.com and scroll down to “Customer Service.” Click the link that reads “Request a Product.” Then, follow the prompts and fill in the provided form to request the product you would like Vitacost to carry. Then, submit your request. Your request will be considered and reviewed by Vitacost, and if there is enough demand for your chosen product, it may be added to its online catalog. Don’t want to pay for shipping? If you spend $49 or more on your next order from Vitacost, you won’t have to! Shipping and returns are free as long as you spend at least $49 on your order. Can’t spend $49? As long as your order contains at least $25 of Vitacost Brand merchandise, you’ll still qualify for free shipping. So start shopping today, and see how much you can save when you don’t pay for delivery fees. While Vitacost does carry products from top brands like KIND, Simple Truth, Garden of Life, Larabar, and Quest Nutrition, it also offers a variety of Vitacost Brand products. 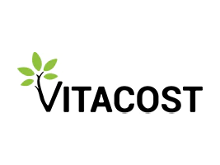 Vitacost Brand products contain the same high-quality active ingredients as competing brands, and are often available for a much lower cost, compared to competing products. So take a look at the Vitacost Brand of products, and see if you can save on your favorite, name-brand supplements. You don’t need a Vitacost coupon to save big on your favorite products – although it helps. Vitacost regularly runs special promotions and discounts on name-brand products like KIND bars, Amazing Grass, Acure Hair & Skin Care products, and more. To find these deals, just head to Vitacost.com, and click the “See All Deals” button on the homepage of the site. You’ll be able to see every offer and discount available on the website. If you regularly order the same products from Vitacost, you can save with the Set & Save service. With Set & Save, you can set your favorite orders to automatically be delivered every 15, 30, 45, 60, 90, or 120 days, depending on your preferences. You’ll never have to worry about running out of a natural ingredient, supplement, or other product. In addition, if you schedule 30-day deliveries, your 13th order will be free. You’ll also save 10% on select Bonus Brands like Bob’s Red Mill and Nutiva when you sign up for Set & Save. You can cancel your next order at any time, so there’s no commitment to keep using this service. Get started now, and see how much you can save. If you want to shop for natural supplements, vitamins, and minerals online at low prices, Vitacost is one of your best options. With both generic and name-brand products available, you can get everything you need for health & wellness, without breaking the bank. With CNN Coupons, you’ll never have to pay full price at Vitacost again. Find a Vitacost promo code to use on this page, and start saving on all of your supplements today. Found a Vitacost coupon code you’d like to use? Not sure how to redeem it on the Vitacost website? Here’s what you’ll need to do to use your coupon. To get started, just click the Email Sign Up button on the upper-right of the Vitacost website, and enter your email address. Already have a Vitacost account? Want to make sure you’ve opted into email promotions? Here’s what you’ll need to do. Select Account Settings under the My Account banner on the left side of the page. Click the set email preferences link under the Communication Preferences section. Use the buttons on this page to opt-in to receiving news, product reviews, discounts and more, and save your preferences. Looking for even more savings and special Vitacost coupon discounts? Make sure to check your Promo Pocket! The Promo Pocket is a special part of the Vitacost website, where you’ll get personalized discounts and Vitacost coupon codes that you can’t find anywhere else. To access these discounts, just sign into your Vitacost account, or create a new profile. Then, click the Promo Pocket link in the upper-right of the screen, next to the Email Sign Up link. Now you’ll be able to view all of your personalized coupons, and redeem a unique Vitacost promo code to save on your next order. Got a product that you didn’t need? Changed your mind about your order? Vitacost makes it easy to return any unwanted items. You are eligible for free returns on all domestic orders, within 60 days of your purchase. You can return any unopened items, as well as items that have been damaged in transit. To get started, simply log into your Vitacost account and find your order, or use your order number to begin the returns process. You’ll be sent a return shipping label, and further instructions for processing your return. After your return is processed, your refund should arrive in the original form of payment in just a few days. If you have any issues, contact customer support at 1-800-381-0759.